dori the giant: Portfolio day. 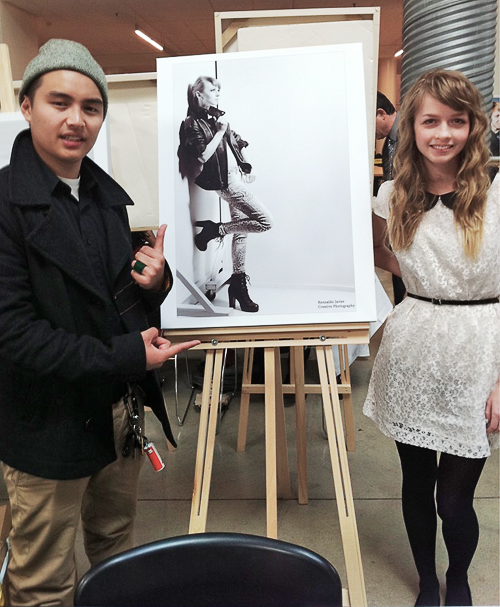 We recently had the Humber Portfolio Show for the Creative Photography program. It was pretty neat and everyone had giant blown up photos to look at. My friend Rennaldo used a photo of me as his mural photo, so I had to take a picture with it! Oh and wasn't my dress so cute? 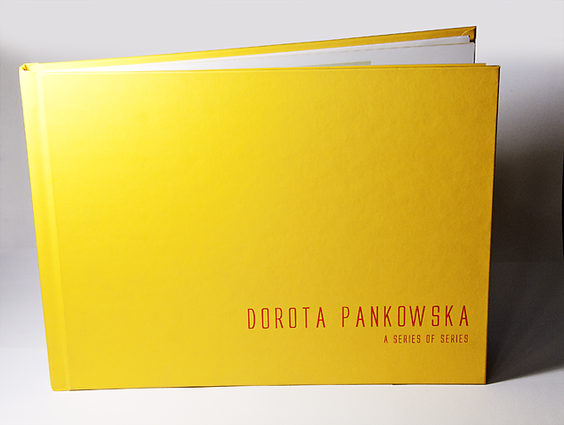 For my portfolio, I made a book from Photobook Canada! It's pretty neat and made really well although the photo quality isn't the greatest so I probably wouldn't recommend it for photographers who need really sharp and high quality prints. I named my book A Series of Series. I also made matching business cards for the portfolio show! Although now that I have a different website, I'll probably make some new ones really soon. All of my business cards were unique since my website was stamped on. Ouu, I adore that picture of you ;) And you're right your dress is adorable - the peter pan colour is awesome! That's a DIY eraser stamp? COOL! I like it, I'd say it turned out well! You are too cute. I love the look of your portfolio and I'm sure the contents are even better. I like making stamps from erasers (although I've never made one this complicated)! Awesome! You look so cute. Your dress is perfect! Lace + peter pan collars = perfect in my book at least. Your book looks like it turned out well and I love the business cards. The stamp was such a good idea!